Nectar of Life: In the name of Reiki…. Vasanta (name changed) had contacted me one year back to discuss about Reiki. Her busy schedule didn’t allow her to come to the Reiki Academy before May 2015. And when I met her, she was in real bad shape. She had physical problems, social and financial problems. She told she had learned Reiki three years back with another teacher, up to IIIB. Basically she learned Reiki to help her mother improve her health, but she was still not well. “How should I be using the symbols?” she asked me. “You are a Reiki IIIB channel i.e., you are a Reiki teacher. So are you teaching Reiki?” I asked. I took a detailed history of her journey with Reiki. Her teacher taught her Reiki I and told to do full body Reiki healing for 21 days. On 22nd day she was attuned to Reiki II. Her teacher did not stress the importance of daily self healing. From then on, she used to give Reiki healing to her own photograph for a few seconds and Reiki to her mother’s photograph (she was staying with her mother in the same house) to improve her physical condition. After a few months, she got Reiki IIIA and IIIB attunements. Karuna Reiki was taught, and also so many other symbols (she showed me her note book). She had not observed any change in her life after Reiki. “I can’t feel the presence of Energy in my palms while doing Reiki.” She told me. “Feeling energy is related to one’s sensitivity. It is actually a sixth sense and it varies from person to person. A Reiki teacher has no role to play in that. Some are sensitive to the energy flow right from the start. Some develop it slowly with continuous Reiki healing, and I know some people who are not sensitive at all. 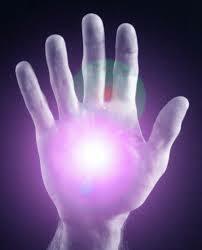 Whether one can feel the energy flow or not, Reiki will definitely show results with healing. You are not getting any results, and that means something is wrong,” was my response. Then I checked her palms for the presence of energy by dowsing with pendulum. As I expected, there was no energy flow. “Let me attune you to Reiki I today. Do self healing for three months and then we will think about further course”, my suggestion was acceptable to her. I gave her Reiki I attunement, she could feel the energy and she had an ear to ear smile to testify that. A dowsing revealed the presence of energy flow in her palms. Then we did self healing together. ‘You are lucky that you are sensitive to the energy flow. Do self healing every day and your life is going to turn around, there’s no doubt about that,” I told her. “Yes, I believe you,” she replied. The sparkle in her eyes told me that it was coming straight from her heart.